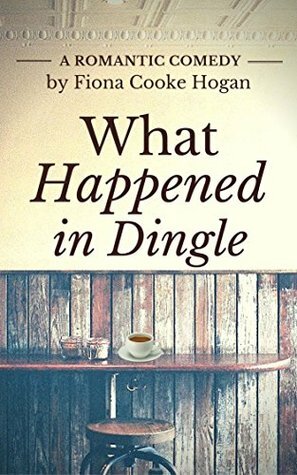 LovelyWhat Happened in Dingle by Fiona Cooke Hogan - a lovely story about the ups and downs of relationships. Interspersed with humour such as an incident of impending doom followed by "could we get out and video it? ", I appreciated the internal banter we all go through particularly when we do something out of character. A perfect weekend read. Short and sweet - but a lovely read. It's contemporary Ireland and a middle aged woman - a woman just like any of us, who loses her footing for a while and then...Well, that would be telling, wouldn't it!Loved it - more please!